Five Tech Tips to Help You Reduce Paper WasteWhere Were You When Windows 95 Launched? New SSDs that use 3D VNAND technology and DRAM quality issues that have arisen as a result of the shrinking capacitor trench in DRAM manufacturing are indicators of the memory industry’s urgency to introduce a new universal computer memory. Manufacturers have had to move to the 3D flash memory technology for SSDs in order to cram more bits into a chip and increase the storage of the standard form factor while improving performance and reliability. Meanwhile, the laws of physics are also imposing limits on the ability to manufacture more random access memory on ever-smaller DRAM chips. Manufacturers are relying on increasingly complex and unique methods of packaging memory like the 3D configuration of flash in SSDs in order to keep improving on two of the most important metrics for memory: capacity of a device in bits and cost per bit. The physics problems with DRAM relate to the size of the trench involved in creating the capacitance necessary to retain an electrical charge and therefore memory of the recorded bits of information. Some experts anticipate reaching the physical limit in 2015 since manufacturing is already near the brink— smaller trenches mean less capacitance and therefore an ultimate inability to retain memory. Manufacturing to the necessary tolerances gets harder and harder. In addition, the smaller sizes also exacerbate the challenge of thinner insulation layers. All of this leads to quality issues and higher costs through yield loss of manufactured product that fails to pass quality controls. Although many people think of SSDs as fast, performing functions on the flash memory in them is far slower than DRAM, which is used for the main memory on most computers. At one transistor and one capacitor per memory cell, DRAM is reasonably inexpensive and has kept up with Moore’s law in size and speed so far. Still, DRAM is slow compared to speedy SRAM, which is used on processor chips so that it can keep up with the speed of the processor. That speed comes at the cost of a real estate and six to eight transistors for each memory cell. Evidence of the increasing difficulty of the challenges is manifest in the market’s drop from 20 memory manufacturers in 1985 to just three today. These and other hopeful companies are busy developing around a dozen different technologies seeking to arrive at a new universal nonvolatile memory (NVM) like flash that still possesses the desirable properties of DRAM and SRAM. While these companies are in a race to engineer a single type of memory to replace the three main types we have now, it has been elusive so far as experts indicate that the laws of physics have prevented any one of them from being a clear winner for the future of memory. Also, the market ramifications of a new universal memory are significant. Memory controllers which have been on CPU chips since around 2005, will have to be completely rethought. Software and operating systems will also undergo a massive shift as file systems, applications, algorithms, and data structures could be stored and accessed in possibly singular and more optimal ways. This would result in far shorter access times and less code along with higher throughput rates. 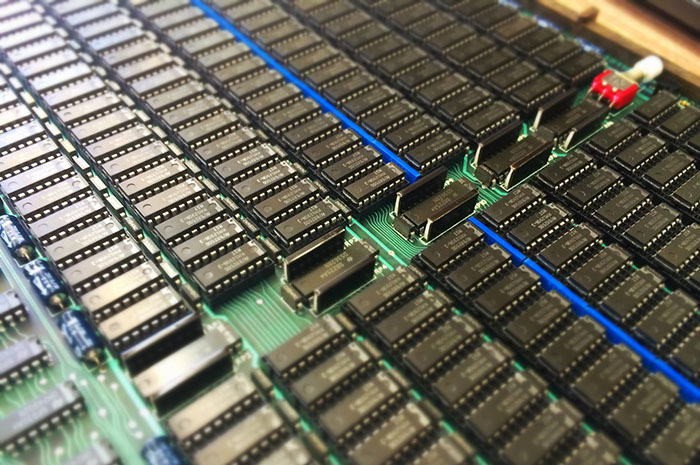 Clearly, the competition to lead the charge in computer random access memory is challenging many to push the limits of the laws of physics. Even if NVM does not take us beyond the ones and zeros of binary computing systems, achieving a true universal computer memory is a tempting goal which even businesses users would ultimately prosper from. What benefits do you expect to reap from a universal nonvolatile memory?